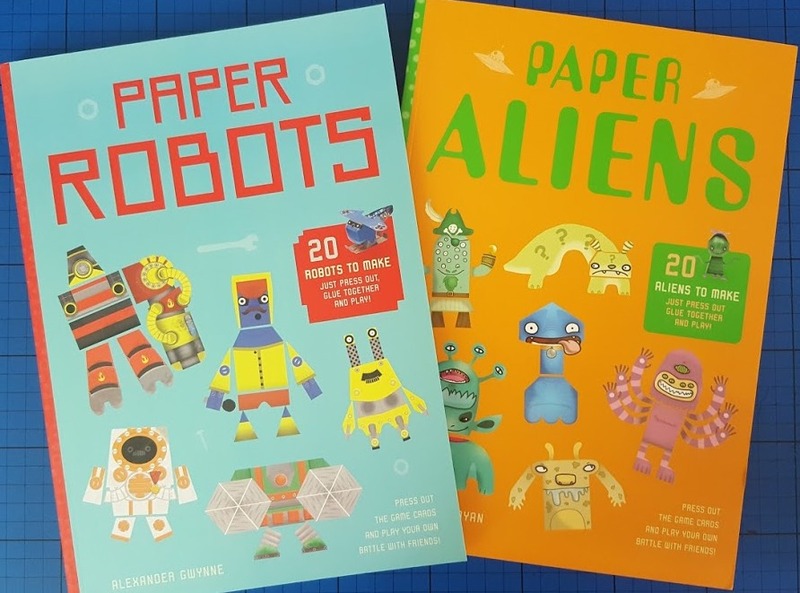 Paper Aliens by Jennifer Bryan and Paper Robots by Alexander Gwynne are two amazing large format paperback books which are full of press out characters for your child (and you) to make. 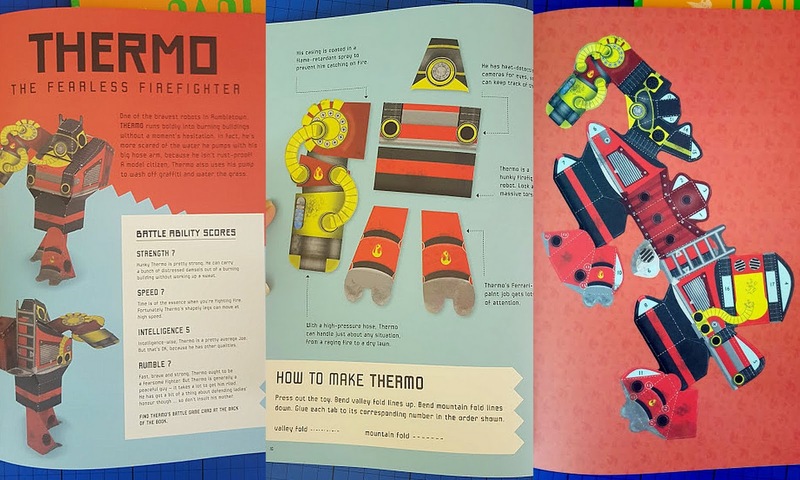 Suitable for children aged around 8+, once you have made your models, the books also include games to play with the robots and aliens, even having press out cards at the back of the books for extra gameplay. 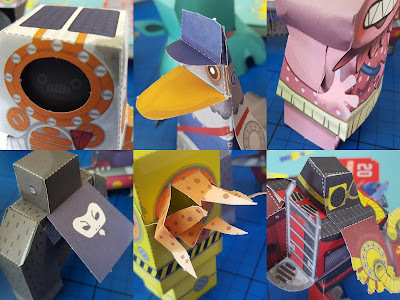 Both books need glue to hold the models, but that is the only equipment you will need to make the 20 different models in each book. No scissors, no cutting, the parts press out very neatly and easily. Paper Aliens by Jennifer Bryan has 20 different aliens ranging from the beefy gorilla-like The Champ, to Blossom, who looks like a flower. Each has varying skills and abilities and so they end up far more evenly matched in battle than you'd expect. Some models are made from a single piece of shaped paper, but in Paper Aliens most are 2 or 3 which glue together. It's very accessible to my 6 year old, who built The Champ entirely by himself. 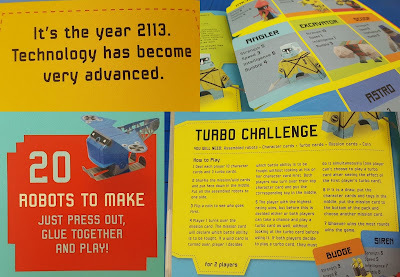 At the back of the book there are two game suggestions and the 24 press out game cards. 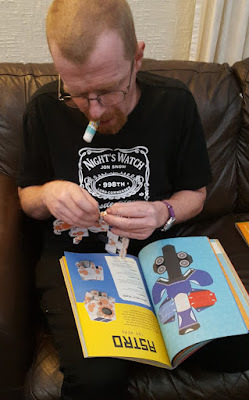 There really is a lot to do in this 96 page activity book. The models press out really well, with hardly any tearing, even for younger children. 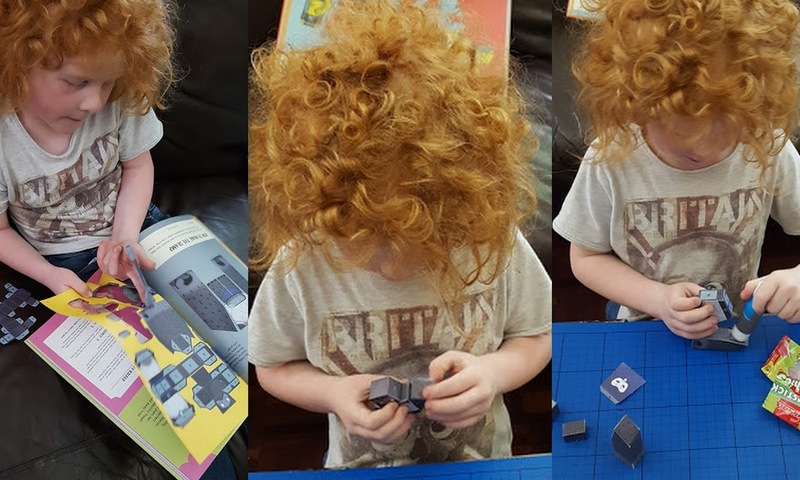 Instructions are clear and actually, even making the more complicated models is really straightforward. Start by matching the no.1's, then the 2's etc. 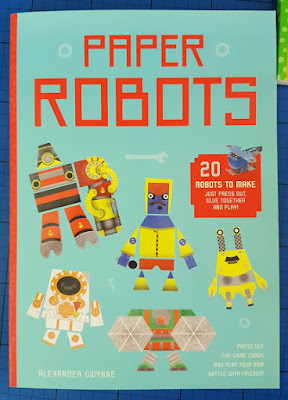 Paper Robots by Alexander Gwynne again has 20 models over 96 pages, with games and cards at the back of the book. 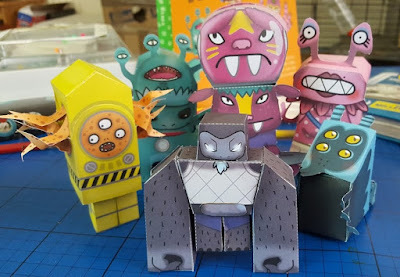 We agreed the robots were slightly more difficult to make than the Paper Aliens. 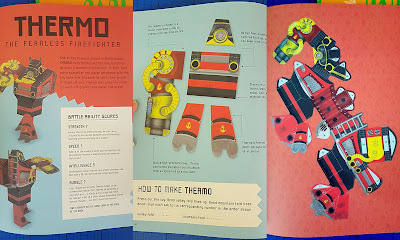 Thermo is one of the more difficult models, but my 7 year old went straight for that one, and made a great job of him. 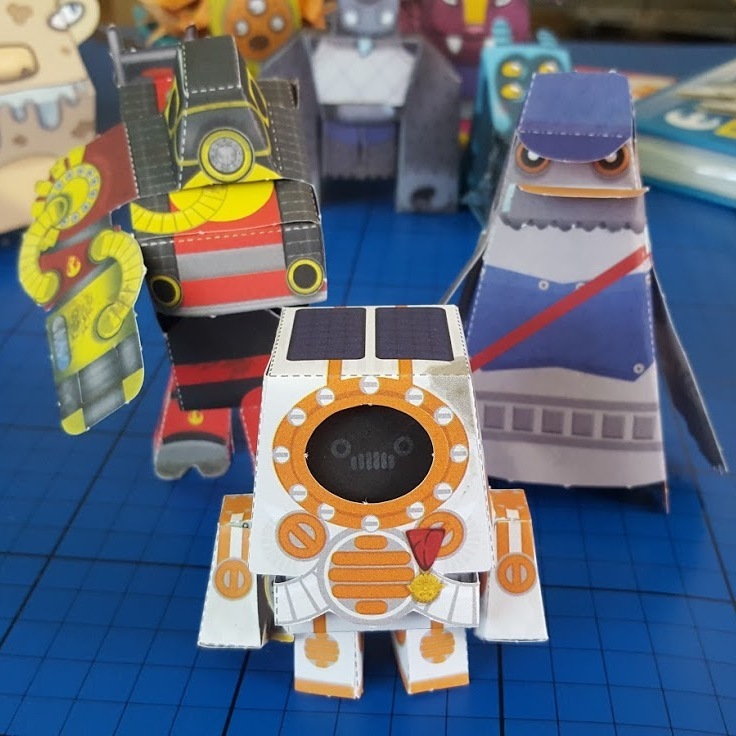 Again you do need glue, but most of the robots use a single piece of paper, which is generally more fiddly. With both books we were really impressed with how intricate the models are, and how impressive. There are some amazing details, and everyone who has made some of the models has felt very proud of them when finished. 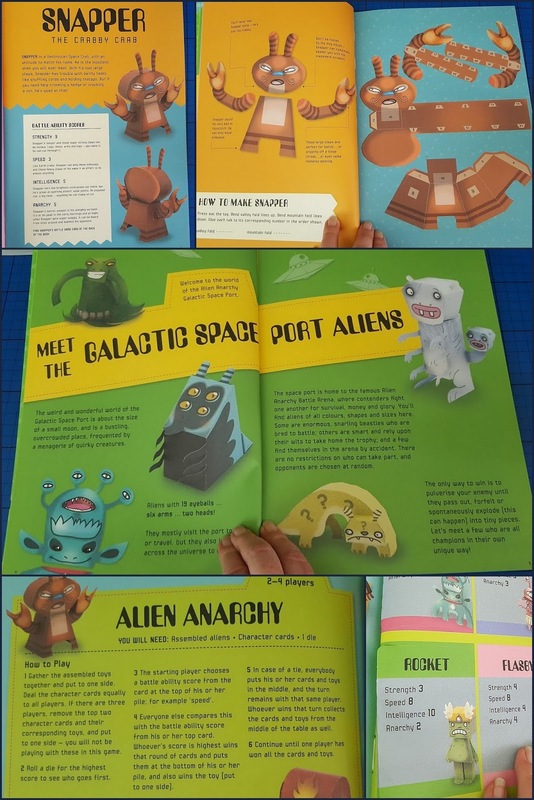 These are lovely books and will give hours of entertainment and a sense of pride to any child aged around 7+. 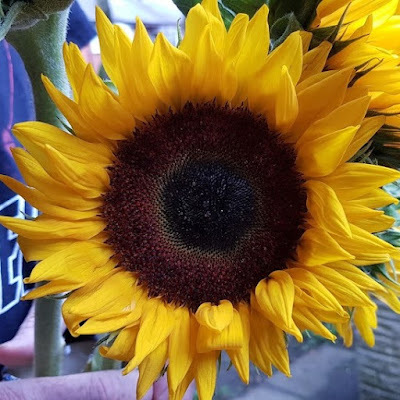 The models are brilliant, extremely varied and there will definitely be some that appeal to all readers. 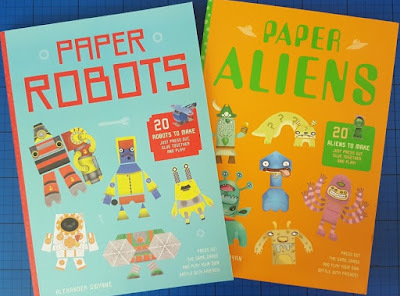 Paper Aliens and Paper Robots are published by Ivy Press at QuartoKnows and both retail at £8.99. 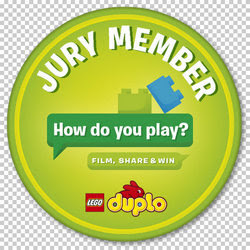 Suggested for age 8+, we think they're okay for children aged 7+, or younger if your child is manually dexterous (e.g. 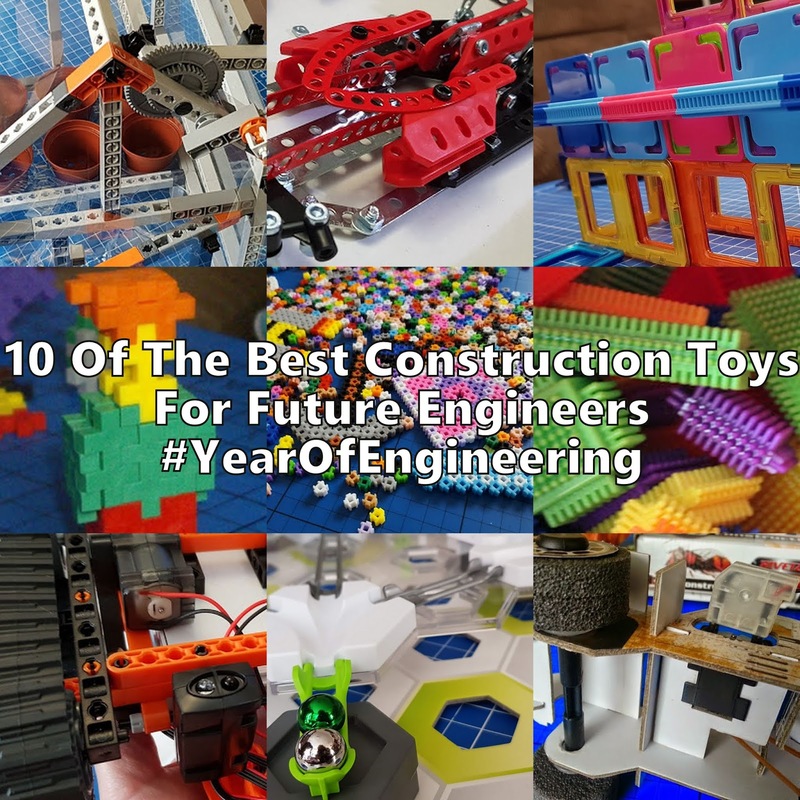 has spent several years using little LEGO). I'm delighted to announce that Ivy Press have given me two sets of both books to give away to my readers. 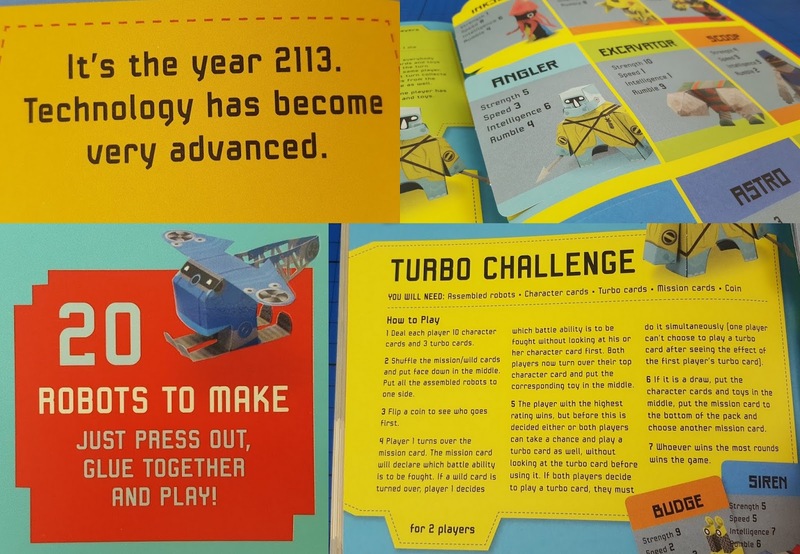 Two entrants will each receive copies of both Paper Aliens and Paper Robots. Entry to the giveaway is by Gleam form below. 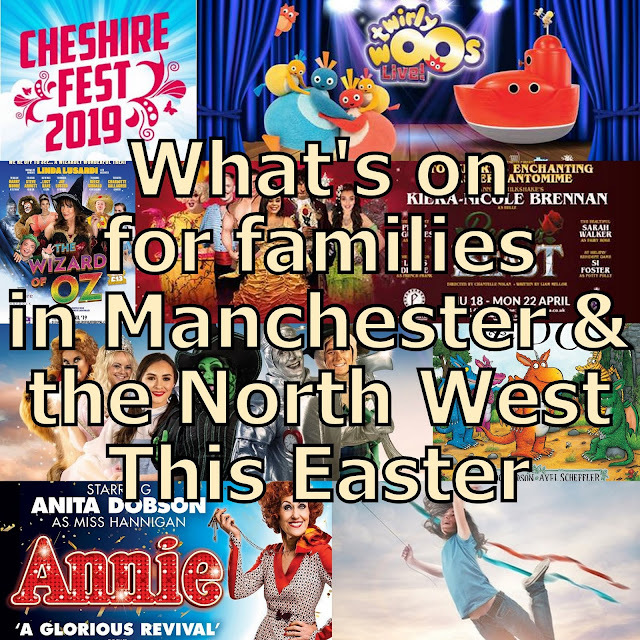 No entry is mandatory, but each extra task completed wins you extra entries into the draw. UK entrants only, please see the terms and conditions at the bottom of the Gleam form. The giveaway will end at midnight Sunday 24th July 2016. 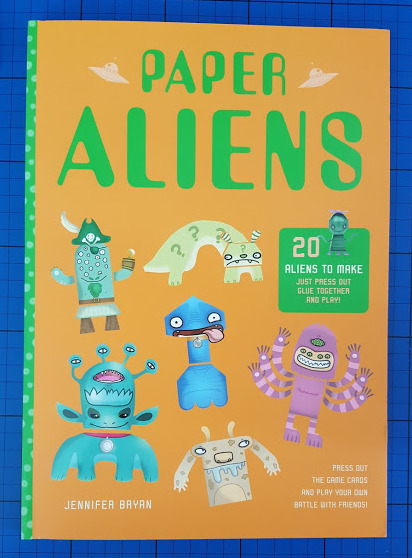 Paper Aliens and Paper Robots 4 Book Giveaway! Robots because they are strong and more powerful, aliens are just weird!! Robots because they can replace any parts that get damaged during the war! Robots; teach them to modify and create themselves and given a bit of time they should be able to surpass the challenges. Though aliens likely have unknowns that would have to quickly be adapted to. Aliens because they have superior technology. Aliens because they could use their intelligence. Aliens because they would probably be of a higher intelligence than man made robots. I think Aliens because they are super intelligent! Aliens because robots need someone to programme them -Aliens would only need a giant magnet and it would be all over!!! Aliens would win because they are obviously superior if they have the technology to travel through space to earth. Aliens because they could probably create their own robots to defeat them! Robots - I think they are way more sinister than aliens so would have the edge and win. 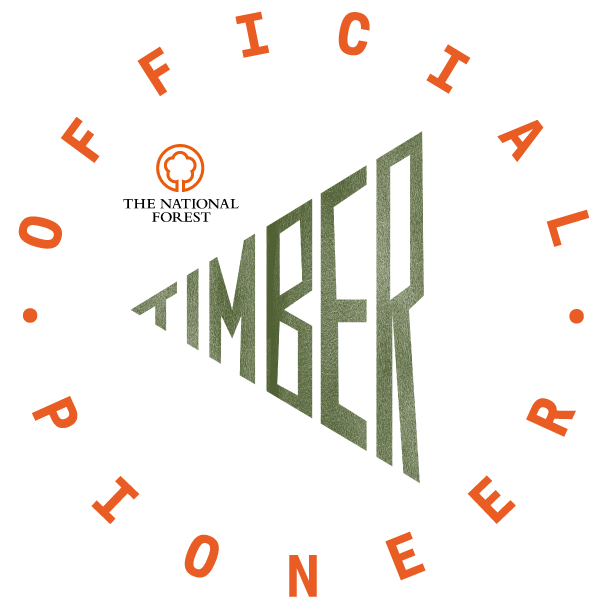 Robots as technology has allowed them increase in numbers and variety. Whereas where is the proof / evidence that Aliens even exist. Aliens - their tech is far superior! My daughter thinks Aliens, as they are clever enough to come all the way through space-time to arrive at our planet, so they would have far superior powers, strength and maybe even robots who obeyed their commands! I think aliens will with their advanced technology.